Apple’s annual Best of iTunes list is the least controversial year-end retrospective, but that’s OK: This year’s winning apps, songs, TV shows, and movies are sure to please every friend and relative who finds an iTunes gift card from you in their stocking or mail box for the holidays. Not surprisingly, Apple named blockbuster hit Threes! the top game of the year. Macworld staffers were just as obsessed with Threes! as Apple—we even compiled some tips to help you conquer this puzzler. Leo’s Fortune was Apple’s runner-up in the category. Monument Valley, Hitman GO, XCOM: Enemy Within, Rules!, Farmville 2: Country Escape, Micromon, and Crazy Taxi City Rush also made the list of best games of the year. Elevate's simple puzzlers keep your brain sharp. The best iTunes apps were a little more unusual. Apple crowned Elevate, which helps people improve their memories with games, the iPhone App of the Year. 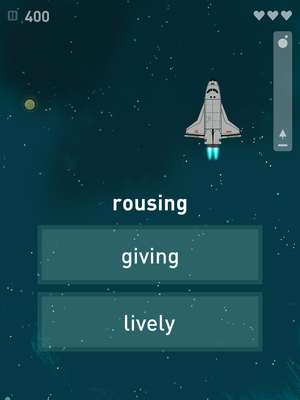 We recently included the app in a round-up of other brain-training apps, so if you find Elevate a little too simple, here are some other options. The runner-up is Hyperlapse, an app from Instagram that lets you shoot time-lapse videos to share on the social network. With iOS 8, iPhone cameras can now shoot their own time-lapse videos, but Apple obviously doesn’t mind a little competition. The company also included Uber, Cinematic, Waterlogue, Spring, Yahoo News Digest, and 1Password in its round-up of the year’s best apps. If you’re on the hunt for amazing new iPad apps, look no further: One of our favorite image-editing Mac apps, Pixelmator, released a tablet version in November and was promptly named this year’s best tablet app. Monument Valley is 2014’s best iPad game. Beyoncé and Taylor Swift dominated music this year, so it’s fitting that Queen B was named the year’s Best Artist on iTunes while Swift’s 1989 was Best Album. (Beyoncé’s self-titled album dropped exclusively on iTunes last December, so it was presumably out of the running for album honors.) 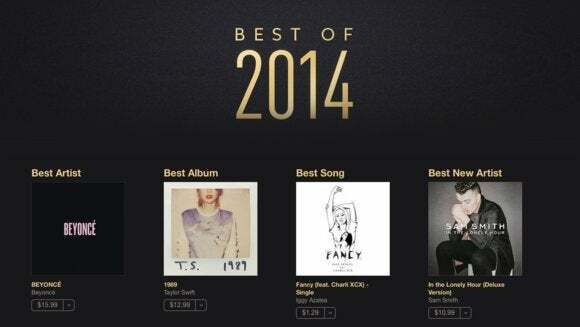 Iggy Azalea’s “Fancy” was Best Song. Everyone’s favorite superhero film this year, Guardians of the Galaxy, is the iTunes Blockbuster of the Year. Breakout hit “Fargo” is the year’s best TV show. All the Light We Cannot See took the honor for best fiction, and The Short and Tragic Life of Robert Peace was the year’s best non-fiction. Which apps and games topped your best of list this year? Let us know in the comments.